This excellent mid terrace property is a well presented located just of the Holywood Road in the popular area of East Belfast it is conveniently positioned close to local schools, the shops of the Belmont & Holywood Roads and Victoria Park. The location is within walking distance of Metro bus links, sydenham train station, and only a short commute from Belfast city centre and George Best City Airport. Internally there is a spacious lounge, modern kitchen leading to a spacious dining area with sliding doors out to a private garden, two spacious bedrooms & bathroom with white suite. 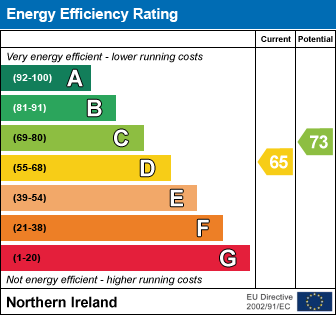 It further benefits from uPVC double glazing and GFCH. Externally there is spacious gardens to the front and rear.